The VNLA Website provides each member with tools to create an individual profile including: a description of your business & accomplishments; a slide show of 12 photos of your business and/or work; plus a link to your company’s website. It includes a searchable directory by member name, business category and region that is available to the public. Interactive features of the website give members access to Green Works marketing materials, free job postings and classified ads, and up-to-date industry news and information. The Dirt, the VNLA/Green Works Quarterly Newsletter. Receive VNLA timely email updates and alerts, with current industry news, opportunities and events from New England and beyond. Receive discounted admission to VNLA Programming and Educational Opportunities. This includes the Winter and Summer Meetings & Trade Shows that feature acclaimed keynote speakers and other VNLA seminars, workshops, and tours held throughout the year. 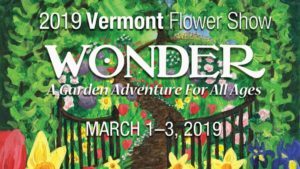 The Vermont Flower Show is the VNLA biennial public exhibition with over 10,000 attendees and 100 vendors from all over New England. Members work together behind the scenes to produce one of the region’s most successful flower shows, including the Grand Garden Display. This is an excellent opportunity for members to network and showcase their talent. Members receive discounted vendor exhibit space. The Industry Awards Program showcases members’ excellent design skills, craftsmanship, and horticultural knowledge. Winners are announced statewide through press releases, and are featured in a full color newspaper insert distributed throughout Vermont. Winning projects are displayed at the Vermont Flower Show. 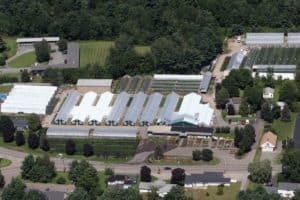 The VCH Program is designed to further educate and certify the Green Industry professional and present to the public the added value of hiring a Vermont Certified Horticulturist. Our program has reciprocity with other New England states. The VNLA/Green Works is here to serve Vermont’s green industry and promote high standards of professionalism. We welcome your participation and membership.